The recent decision by The Associated Press (AP) to discourage the use of the terms “homophobia” and “Islamaphobia” has prompted much discussion. The general sense is that the AP is probably correct in terms of the literalism of the word “homophobia” and that it really is not the best way to describe anti-gay actions or motives. On the other hand, it leaves writers without a term — like racism or sexism — that describes anti-gay sentiment. At this point, I am not sure whether NLGJA will change its stylebook or not given the AP’s recent pronouncement. We feel that ‘homophobia’ and ‘Islamophobia’ have two shortcomings: they are not specific, and can also imply a psychiatric condition. We always owe it to readers to say exactly what we mean. Instead of terms that try to describe some general state of mind, we always prefer to say what a person’s position is or how he acts. Does a given person or group assert that gays are immoral? Do they oppose gay marriage? Do they oppose gays in the military? Do they commonly make anti-gay slurs? Does Jones question whether Islam is a religion? Does he say Islam should not be the basis of a country’s law? Does he engage in anti-Muslim violence? Such specifics tell a reader the points that are at issue and allow for a response to those points. As a result, the reader obtains more accurate information. If the editors of the AP Stylebook wish to discourage the use of certain words simply because they can be misused or misunderstood, there ought to be a great many in line ahead of homophobia. 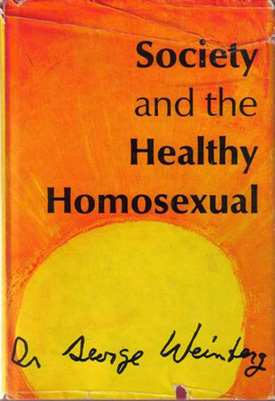 I thought that was that until I came across an op-ed at Gay City News by Dr. George Weinberg, a psychotherapist and author of the 1972 book Society and the Healthy Homosexual, which coined the phrase homophobia. The AP’s recent dislike of the word because it is “political” makes no sense. It is political because a large number of people have brought it to light and are opposing abuse. If one man beats up his wife nightly because he’s a drunk, it isn’t political. It is personal. If a million do and women organize in protest, it’s political. But it is still personal and psychological. “Political” just means that many people are trying to do something about it. Homophobia doesn’t lose its status as a phobia just because many people are now on to it and are trying to cure it or to live in spite of it. A phobia is an irrational dread of something harmless, motivating the desire to avoid it or expunge it. The world needs the word “homophobia” and what it says. People need to understand what it teaches … As for the argument that it is imprecise, so is a word like “freelance” writer; people don’t go around throwing lances any more. And, by the AP’s logic, why not get rid of the word “gay” since not all gay people are joyous. It’s a big mistake to pretend precision here. It was a great advance to have the term “hate crimes” brought into the language and into the law. The term underscores the psychological motive of the person who commits such crimes — for instance, violent acts accompanied by anti-semetic language or the defacing of temples. By the AP’s logic, that term should be the first to go. It clearly refers to the mental and emotional state of those who commit hate crimes. Victims of hate crimes wouldn’t tolerate the erasure of the word. I can guess why the term “hate crimes” isn’t being eliminated along with “homophobia.” AP wants its language to go over well everywhere its stories might be picked up. The term “hate crimes” wouldn’t stop the media from picking up AP stories, while the word “homophobia” might draw objection in some places. In short, AP’s decision, far from depoliticizing its reporting, is itself likely based on a political judgment. No surprise the coiner of the phrase still supports it, but his arguments shouldn’t be dismissed because he coined it. Homophobia may not be as precise as the AP wants it to be, but I can’t imagine not using it until an adequate replacement exists. And I don’t think “anti-gayism” is going to catch on any time soon.